NextGen Gaming is part of the NYX Gaming Group, a collaboration which has resulted in some of the world’s most vibrant and entertaining online slot games used by many of the leading online casino vendors. Find out more about the NextGen software brand and the slot games it has on offer, and discover where you can play these games for real money at the most trusted casinos on the Web. NextGen Gaming is the Australian-based arm of the successful NYX Gaming Group. In operation since 1999, this Sydney-based group of gaming professionals has led the market in the development of hundreds of popular online slot games, becoming one of the world’s leading independent suppliers of innovative games for the online gambling industry. NextGen staff combine a talent pool of technical skills with cultural diversity and passion for the industry, resulting in some of the most innovative slots on the Web. NextGen’s focus is always on player enjoyment. The brand uses a two-pronged approach to give artists creative leeway, while a Product Team exists to think up new and exciting ways to enhance the player experience. It is this unique approach that has earned NextGen such awards as eGR’s RNG Casino Supplier of the Year 2013. NextGen software is licensed by the UK Gambling Commission which regulates all games for player safety and fairness. Despite running out of offices in Australia, NextGen games can be found at some of the most popular offshore casinos on the Web. SuperBet – Players place a small additional wager for the chance to unlock new bonus features. Select-a-Play – Players are offered a selection of different free game types. 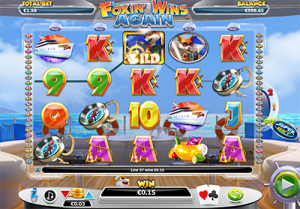 For example, when free spins are triggered you may have the option of playing a high number of free spins with a low multiplier, or a low number of spins with a high multiplier. Up Wild – A bonus feature where wild symbols spread vertically across a reel to leave extra wilds along the way. Slide a Wild – Players have manual control over the placement and behaviour of certain symbols, allowing them to set their own game volatility and preferred gaming style. Although NextGen games aren’t featured as heavily at our top-rated casino sites as the bigger brands like NetEnt, Microgaming or BetSoft, you will find NextGen slot games at several of the best casinos on the Web. NextGen games use an instant-play format, which means you can play directly over your Web browser without having to download any software. Due to differing laws, not all casino sites cater to players from every country, so you may not be granted access to the NextGen casino of your choice. For a full list of the online casinos with NextGen games that welcome players from your country, refer to the casino table at the top of our page. This table has been geo-targeted to recognise your location and only recommend casinos that accept players from your area. You can try NextGen games at these sites for free in practice mode, or play for real money using a trusted payment method like Visa, MasterCard, Neteller, Skrill, Paysafecard, direct bank transfer or other accepted payment service. Sign up using our links and you can get access to some great new player welcome bonuses.